Due to hunger, sickness and abuse at least 749 children, women and men died in the concentration camp. 329 of them were executed at the execution site, just outside the camp. 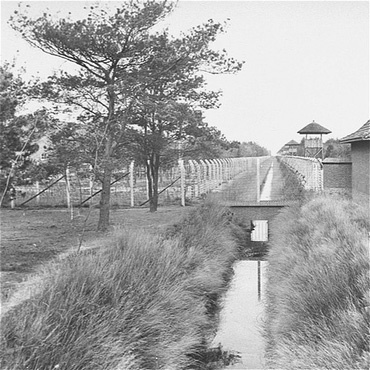 When allied forces were approaching Herzogenbusch, the camp was evacuated and the prisoners were transferred to concentration camps further to the east. When the camp was liberated in September 1944, by the 4th Canadian Armored Division and the 96th Battery of the 5th Anti-Tank Division, the camp was almost deserted. More than 30.000 people had passed through the gates of the camp in the preceding 18 months. When the allied forces arrived, after D-day 6 June 1944, the Germans wanted to clear the camp as fast as possible. Most of the women were transported to the concentration camp in Ravensbrück, and the men to Sachsenhausen. On the 5th and 6th September 1944 Camp Vught was practically evacuated. It wasn’t until one and a half month later, on 26th and 27th October 1944 that Vught was liberated. There weren’t many left to be set free. It was almost deserted.